BB: Hi Amber! 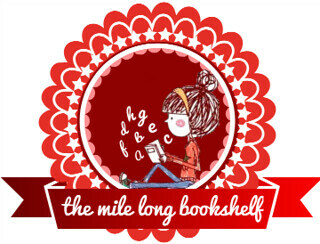 For any of our readers who aren’t already following your blog 'The Mile Long Bookshelf' could you tell us a little bit more about the girl behind the blog? BB: You've been blogging since you were very young, how did you get into book reviewing? I quite like my review of A Boy Called Hope by Lara Williamson because I remember it being really easy to write and it seems to flow nicely - in my opinion, anyway! I'm equally happy with my review of Monument 14 by Emmy Laybourne because I decided to go full-on fangirl with that one and professionalism flew right out the window. These days, nearly all reviews are difficult to write because I've been reviewing for so long that each time I worry I'm repeating myself. In answer to your question, if you see a short review on my blog, chances are it was a difficult one! BB: We're always looking for new books to read - are there any upcoming releases you're really looking forward to this year? Recently I read The Sky Is Everywhere and I fell in love with it straight away. The sequel, I'll Give You The Sun, comes out in April and I'm so excited! I'm also looking forward to The Last Summer of Us by Maggie Harcourt coming out in May. I was lucky enough to be sent an early copy a little while ago and it's such a fun, summery road-trip book - I have a feeling it'll be loved by many! BB: You recently included the Divergent soundtrack in a favourites post. If you could create a short reading soundtrack for one of your favourite books which book/songs would you choose? One of my favourite books is The Dolls by Kiki Sullivan. A few days after Eveny Cheval's seventeenth birthday, her aunt suddenly whisks her across the country to Carrefour, a mysterious town you need a key to enter into. When they arrive, everyone acts strangely around her, and it's not long before Eveny realises she isn't entirely normal, after all. She's one of the Dolls - a group which, on the surface, seems to be a group of high school queen bees, but that's not the only intimidating thing about them. They have powers, and someone wants them dead. It's such a fun mix of fantasy and contemporary, and there's a big focus on girl power. The soundtrack would have to be this one called Like a Girl which I found a while ago and am absolutely obsessed with! BB: Just for fun - if you could swap lives for the day with any fictional character who would it be and why? I was going to say Clary from The Mortal Instruments by Cassandra Clare but considering I'm really lazy sometimes, I don't think I'd be the best person for fighting demons... hmm. I think I'll go with Emma in Emma Hearts LA by Keris Stainton. I've always wanted to go there and the book gave me a serious case of wanderlust. BB: Finally, which other book blogs or YouTube channels would you recommend our readers go and subscribe to? For fun lifestyle posts, blogging tips and, of course, reviews, you should definitely check out Nose Graze. As for YouTube channels, make sure you're subscribed to Sarah Churchill - she makes awesome bookish videos! 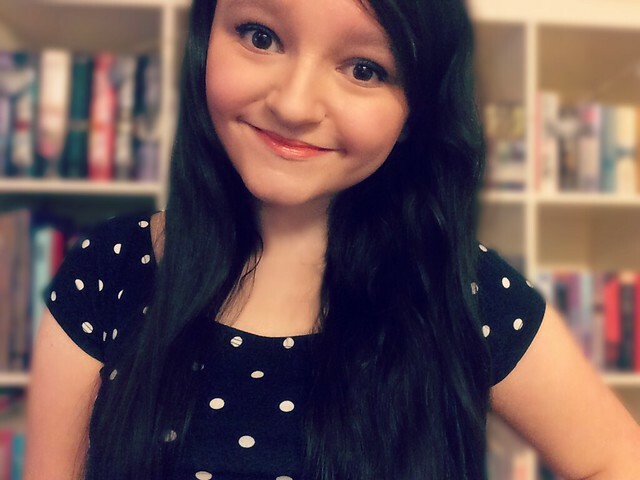 I'd like to say a huge thank you from all of us here at BB to Amber for taking part in this interview. If you are a booktuber or book blogger and would like to be featured in a similar post we'd love to hear from you - just email us at bloggersbookshelf@gmail.com for information!